Many people like to be their own boss or become in-charge of their own destiny, so to speak. After all, who won’t like reporting to no one but oneself, having one’s own work hours and timing, and no fear of getting laid off or fired, and the best part, doing what one likes doing!! As they say, easier said than done, thousands of businesses launch every year and a vast majority of them FAIL. 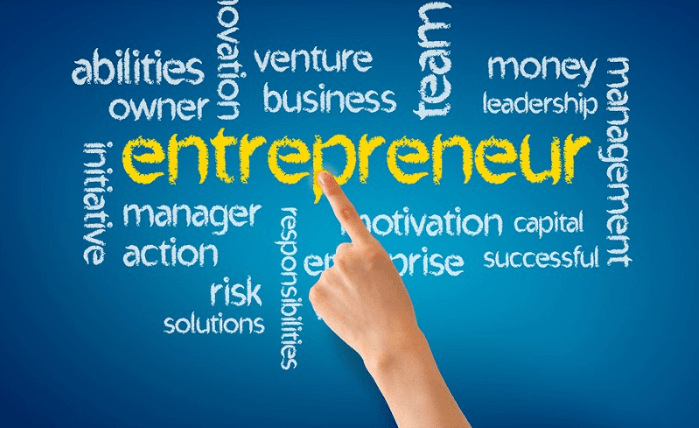 What differentiates successful entrepreneurs from un-successful ones? Let’s take a look at the probable reasons. I rate “Hunger” as the no. 1 prerequisite to become a successful entrepreneur as no venture can be made successful unless one is really hungry to make it successful. You need that fire on your belly, there’s no other way!! No wonder one of Steve Jobs favorite quotes was “STAY HUNGRY, STAY FOOLISH”, meaning never be satisfied and keep pushing, and try to solve problems people say can’t be solved. Doing exhaustive research on the business you are trying to launch is one of the most critical steps a budding entrepreneur can take to enhance his/her chances of success. Research helps you in getting prepared and gain confidence about the market, industry, and sector you are planning to venture into. To conduct market research, one can talk to industry experts, research journals and authoritative blogs, and leverage online learning portals such as Business Central. Technology pioneers like Bill Gates and Steve Jobs started out their entrepreneurial journeys in their garages working hands on their respective products. Having a practical experience on the product or service you are aiming to sell goes a long way in pitching your product or service with confidence and positivity. While it is not always possible to have a theoretical knowledge about the market, industry, or field related to your product, getting your hands dirty and getting down into the weeds to know your product inside out is possible and a critical aspect for potential entrepreneurs. Networking is one of the most significant prerequisites to become successful in literally any field today. It comes as no surprise that Microsoft paid 26.2 billion for LinkedIn which is world’s most popular professional networking website/app. The world is connected today from coast to coast via internet, satellites, telephones, and cell phones. In a connected world, the businesses can’t afford to act as silos and need each other’s support and connections to sell their products and services. Human networking is by far the most valuable connection an entrepreneur can establish for his/her venture. All said and done, the final but most critical step to launch a business is obviously pulling the trigger – executing the planned action. Millions of great ideas die due to the lack of execution. Many budding entrepreneurs are too scared to execute their plans and hence keep putting off the actual execution. Dan Pena, famous as the 50 billion dollar man, says “Yeah, the difference is, they pulled their fingers out of their sorry a**es and took f***ing action! Unlike most of you – they did something, even if it was wrong, knowing worse case – no 1 was going to die! They took a risk! They acted as if they had no limits to their abilities!